The new Doom is a surprise on multiple levels. Foremost, it remains surprising that it’s, you know, good. Actually, it’s not just good; it’s excellent. It’s also loaded with secrets, ones that are remarkably compelling to dig out of Mars’ demonic loam and fist bump. But Doom’s secrets aren’t strictly inside the game. Turns out, at least one transcends the medium. 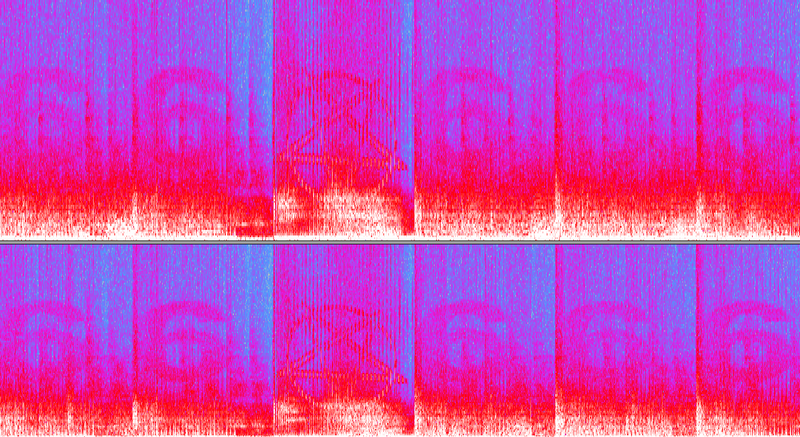 As first pointed out by Tomcb, one of the game’s songs, “Cyberdemon,” reveals its true nature only when run through a spectrogram. A couple YouTubers, NERD SAUCE and FaceLikeTheSun, have since demonstrated the easter egg. Yep, if you visualize the song’s frequencies in a spectrogram, you get a bunch of pentagrams and Hell’s Dread Area Code. It’s a small thing, but that’s precisely why it’s great. Back when the original Doom first struck fear into the hearts of ‘90s parents, this kind of thing might’ve been scandalous. Now it’s a campy throwback and a clear sign that the people making this game really went the extra mile. The devil is, quite literally, in the details.